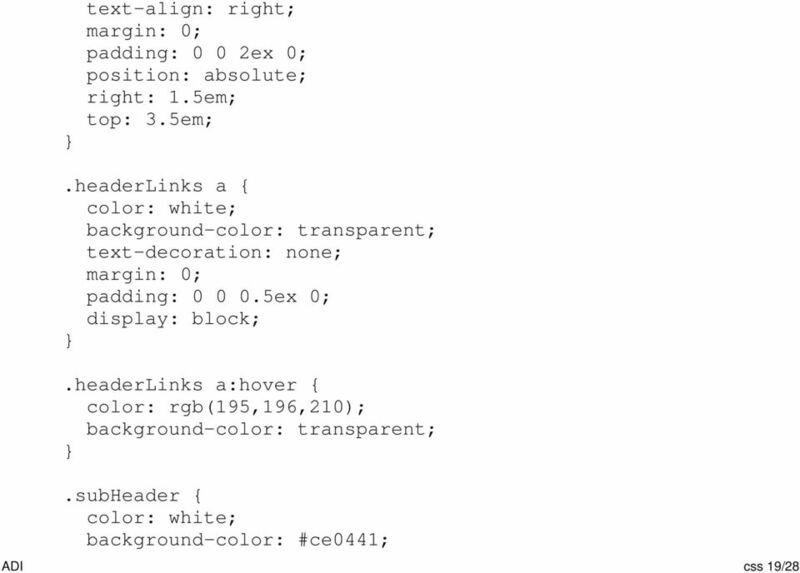 Download "CSS. 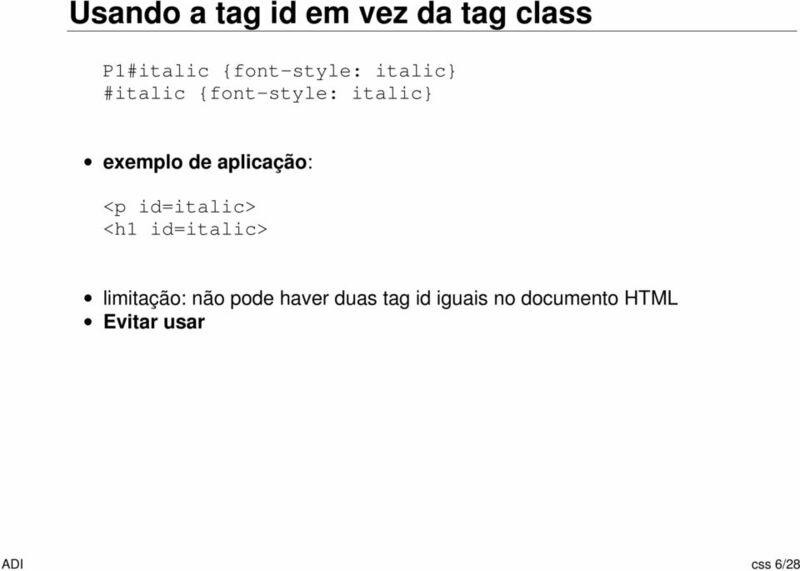 CSS - cascading style sheets CSS - permite separar num documento HTML o conteúdo do estilo. 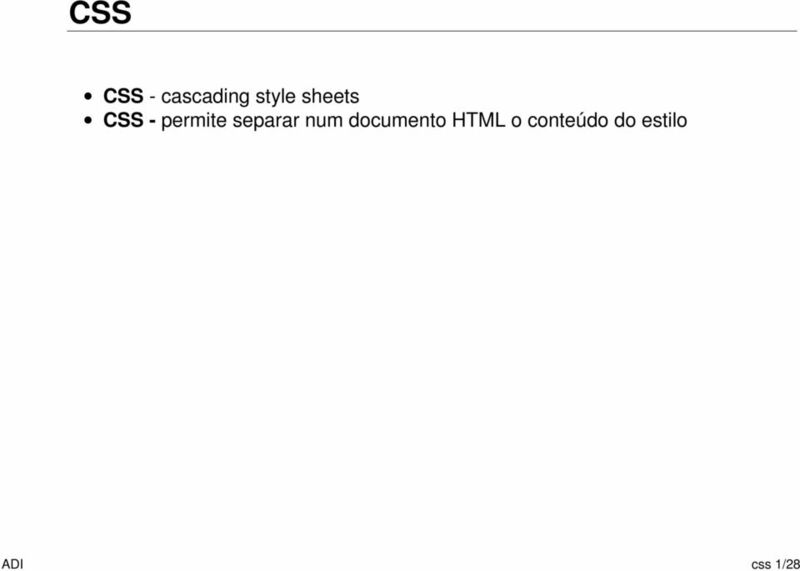 ADI css 1/28"
Cascading Style Sheets CS7026 Applying CSS There are three ways of applying CSS to HTML: Inline Internal External 2 Inline Styles Inline styles are put straight into the HTML tags using the style attribute. CSS Peter Cho 161A Notes from Jennifer Niederst: Web Design in a Nutshell and Thomas A. Powell: HTML & XHTML, Fourth Edition Based on a tutorials by Prof. Daniel Sauter / Prof. Casey Reas What is CSS? 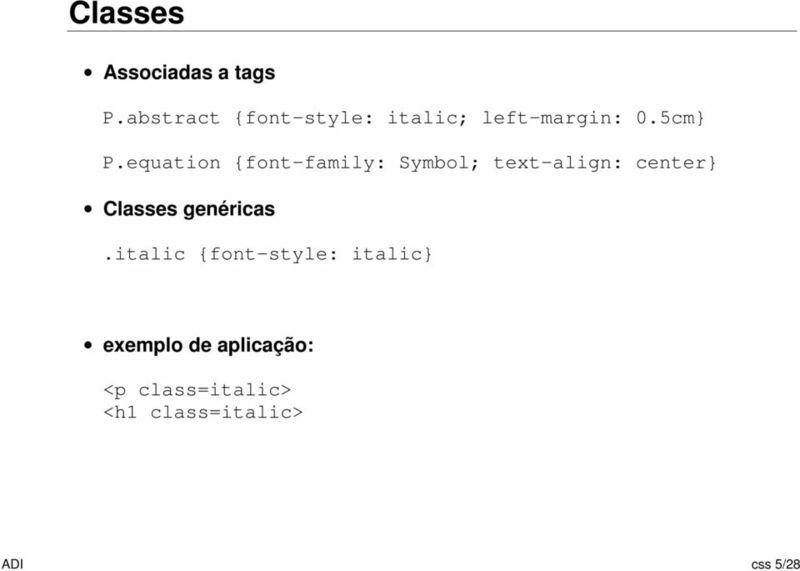 Agenda Advantages of CSS In-line styles Embedded styles External style sheets Syntax + examples styles Some CSS properties (font, background, color, etc.) 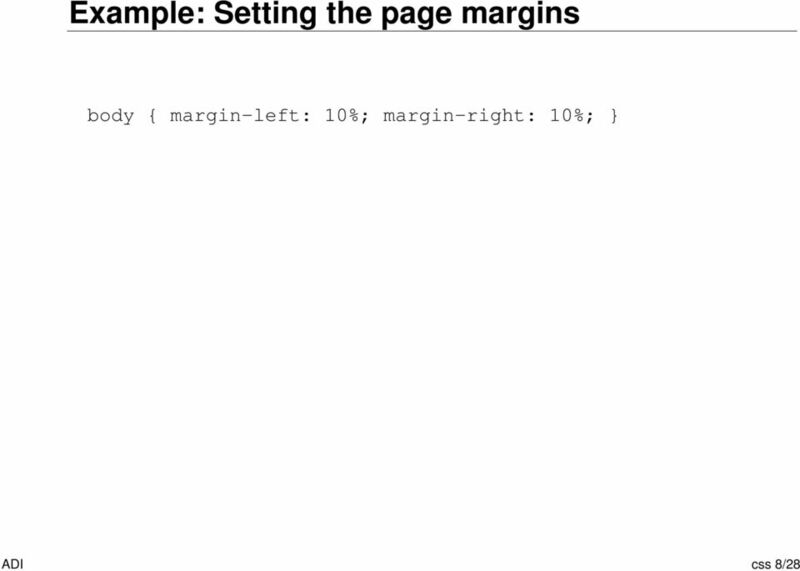 1 2 Goal Give insight in the advantages of CSS. 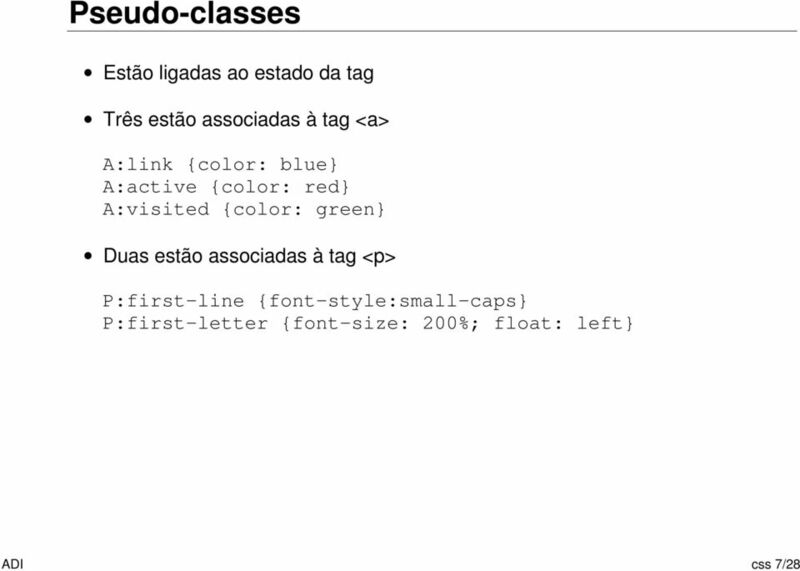 Web Guide. 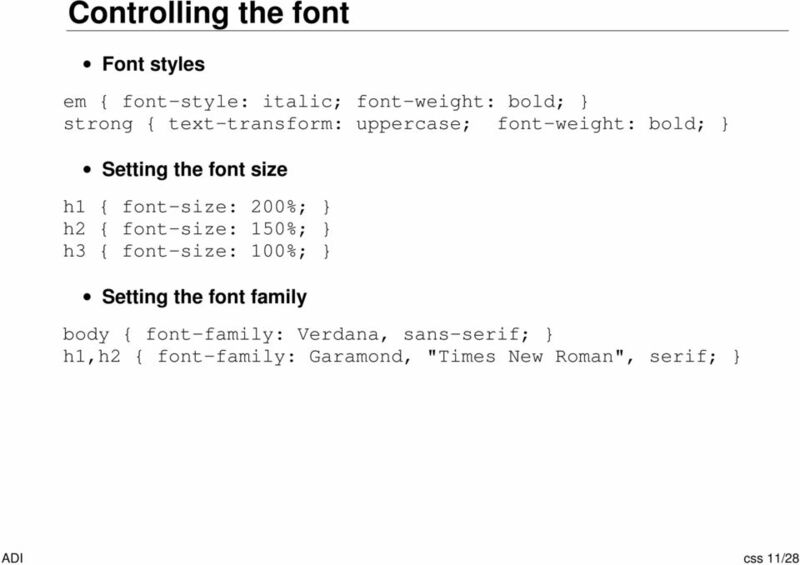 Style Types. 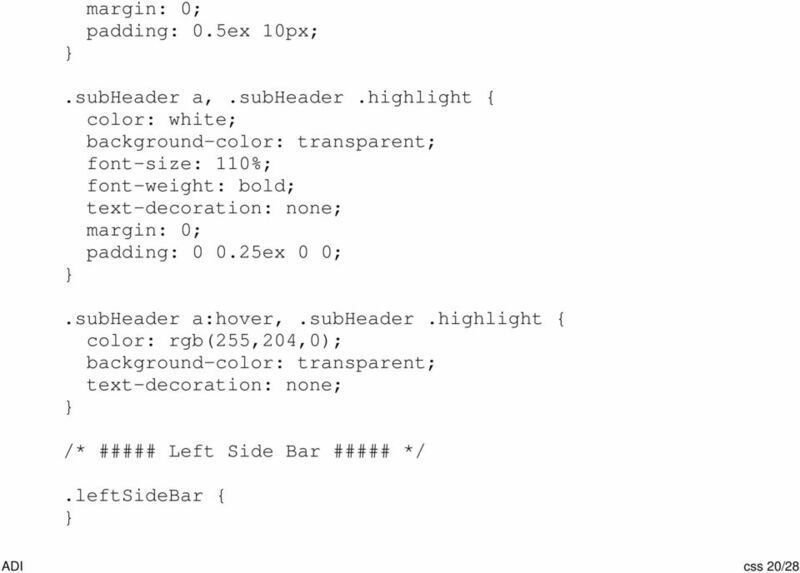 Understanding CSS. 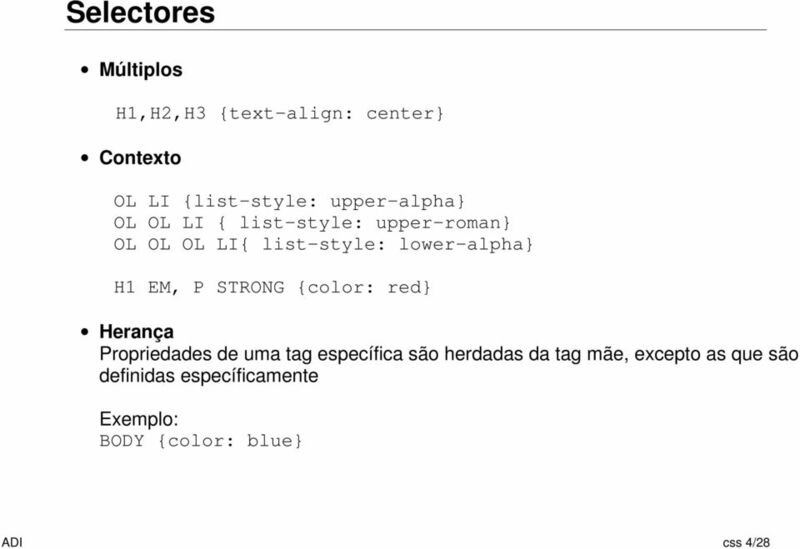 Tag styles defined in most style sheets to start. 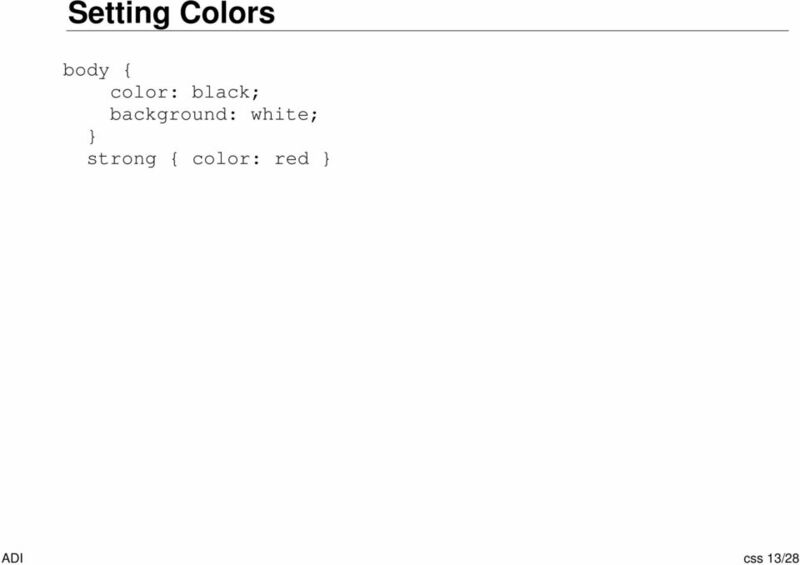 What is a rule (style)? 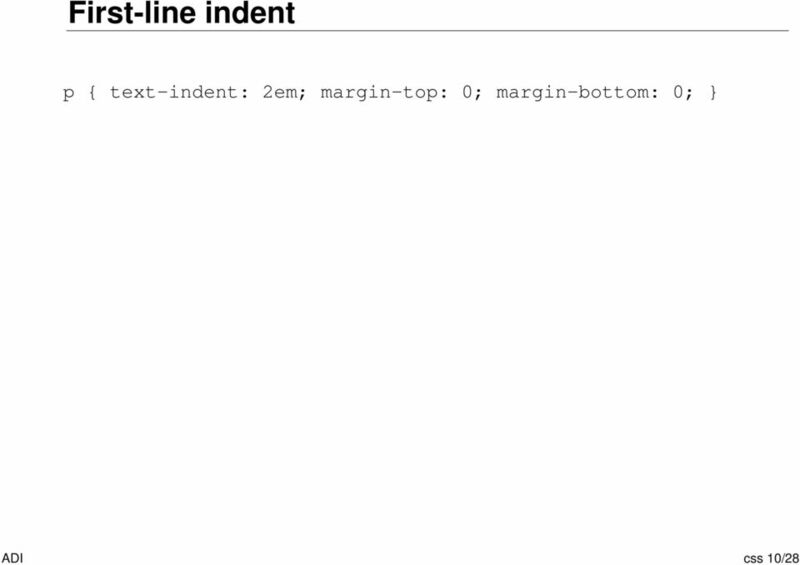 Gentle Introduction to Web Applications Part 1: Client Side Episode 2: CSS Kaya Oğuz Mirror mirror on the wall, who is the fairest of Cascading Style Sheets. them all? 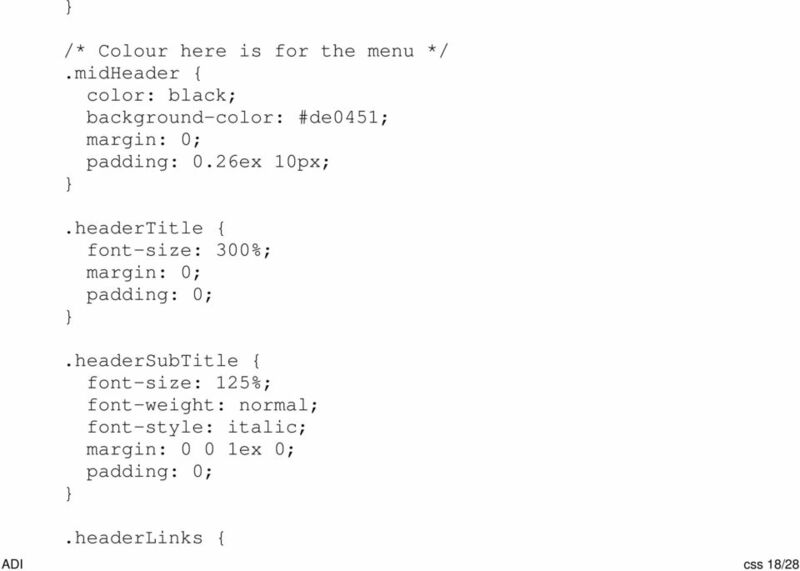 Define how elements will be rendered. 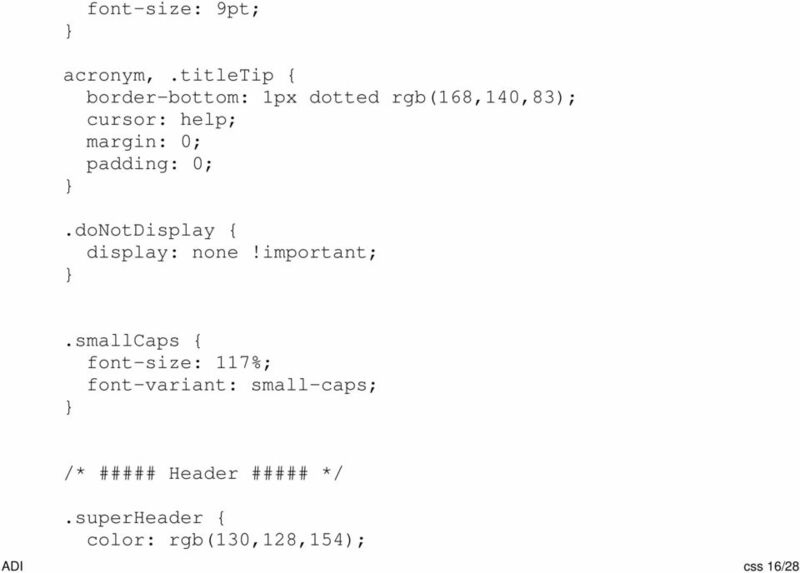 Simply download Beepip from http://beepip.com and run the file when it arrives at your computer. 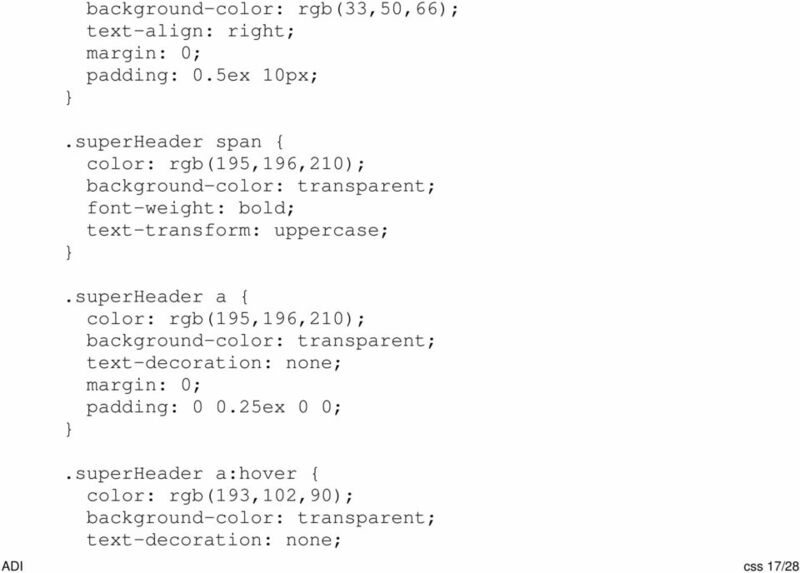 CSS Web Designing HTML. 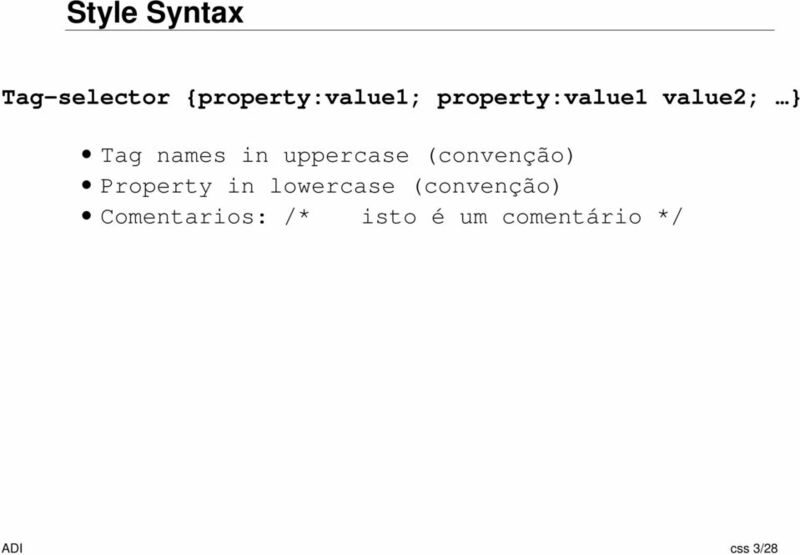 The src attribute specifies the URL (web address) of the iframe page. 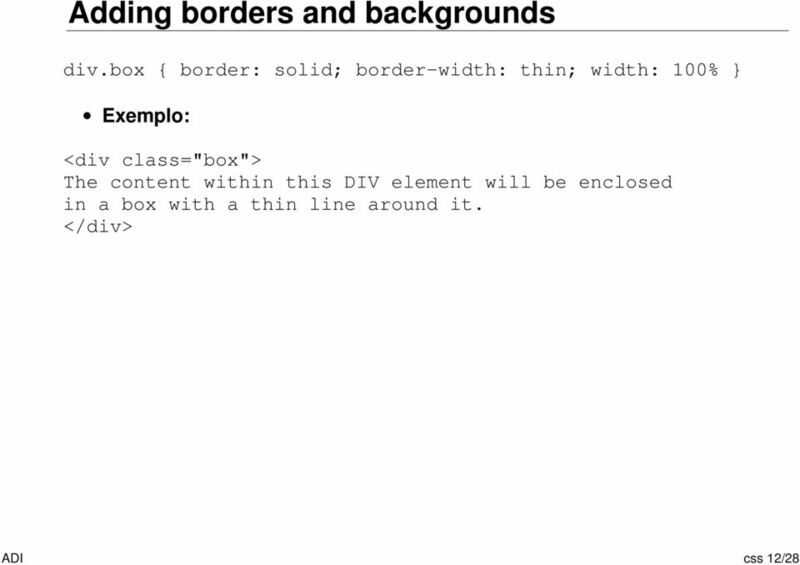 CSS 2: Layouts This lesson will walk you the process of building a fluid layout for a webpage using CSS, based on Tutorial 8 on the Max Design Website - http://css.maxdesign.com.au/floatutorial/tutorial0816.htm. 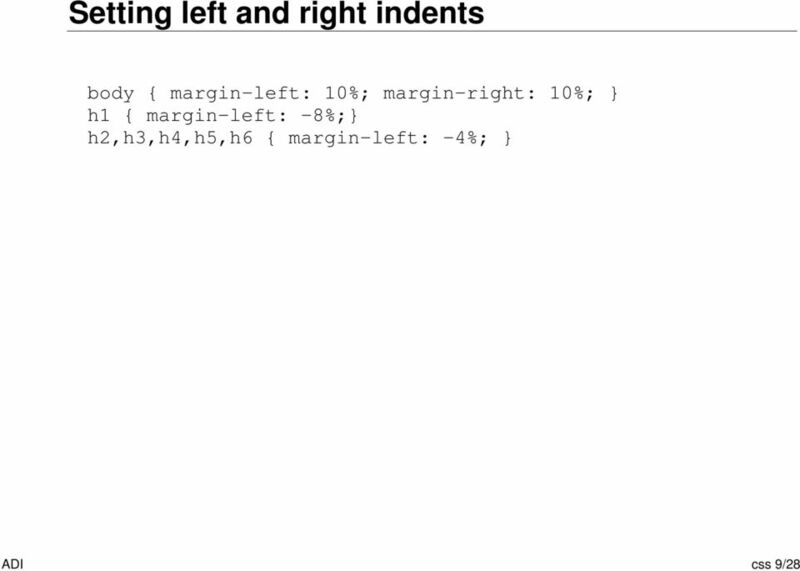 Making our HTML Look Nicer Cascading Style Sheets Unless otherwise noted, the content of this course material is licensed under a Creative Commons Attribution 3.0 License. http://creativecommons.org/licenses/by/3.0/. 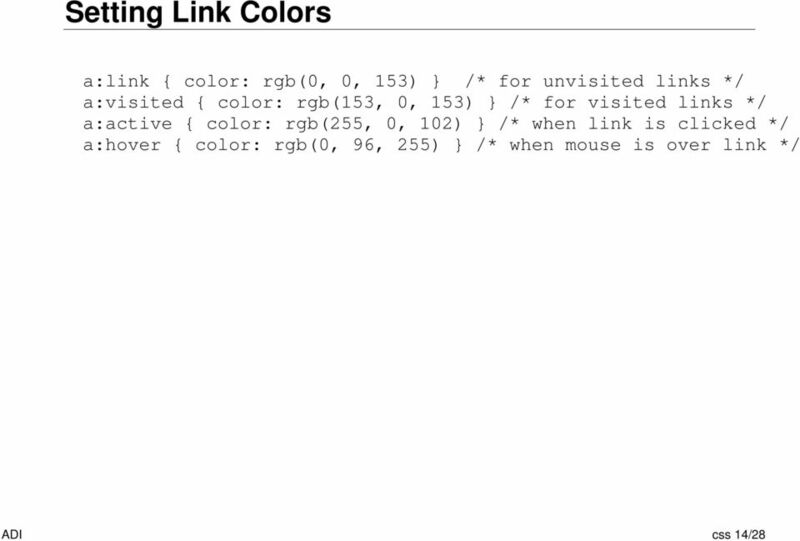 The resulting HTML page, with colors and layout, all done with CSS. 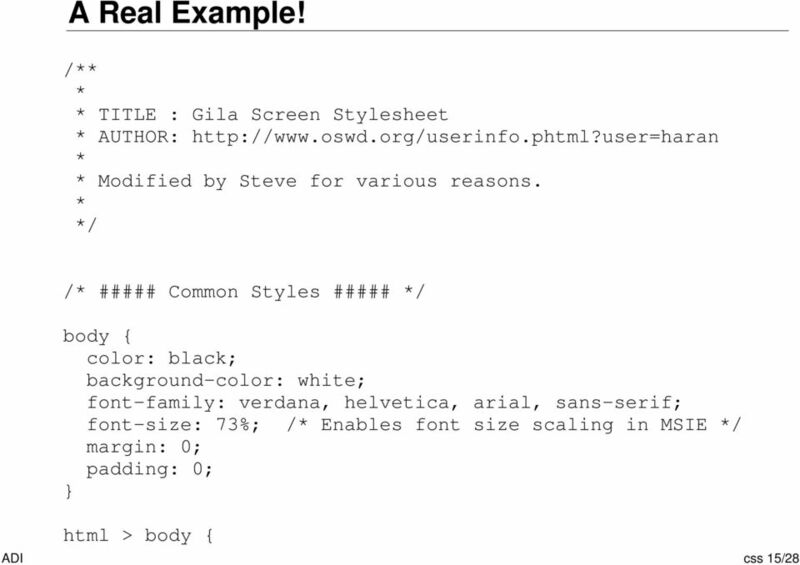 Medical Library/Department of Information & Communication Sciences WHAT ARE STYLE SHEETS? 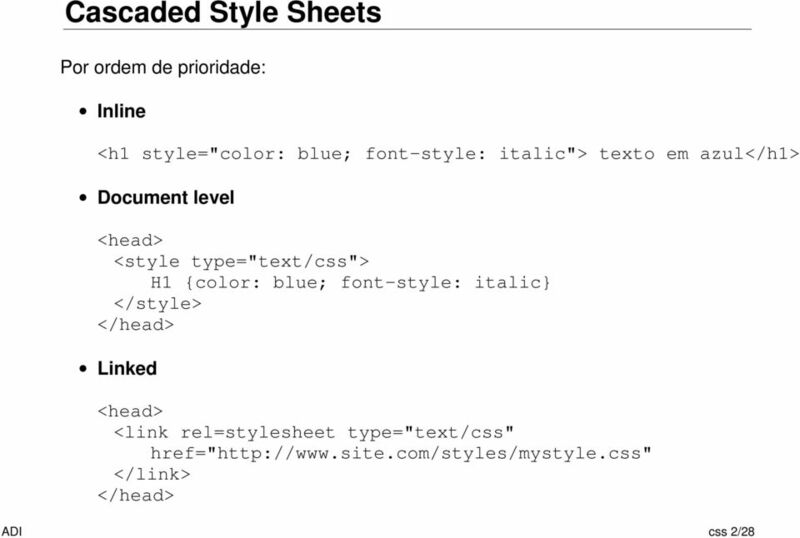 DREAMWEAVER CS5.5: USING STYLE SHEETS Style sheets are collections of rules that define the styles of a document. Klik op deze albums als u de foto s van onze evenementen wil ontdekken.